A charcoal drawing with a silhouette flamingo overlay. With all this cold whether we’ve been having I’ve already began to day-dream of the Outer Bank, and looking forward to going back to visit over the warm spring and summer months. 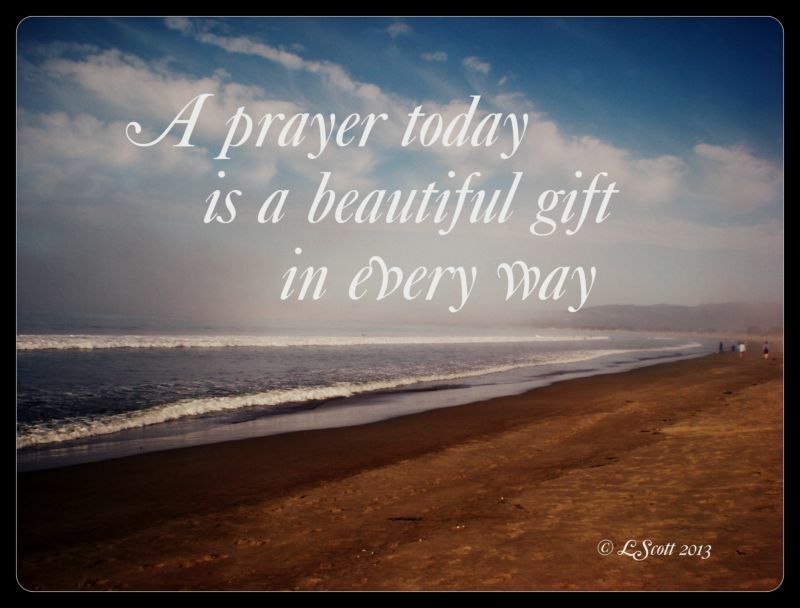 Hatteras Island, where the fishing is fine, the skies are gorgeous, and a beach chair low in the sand with a good book to read is right up my alley. 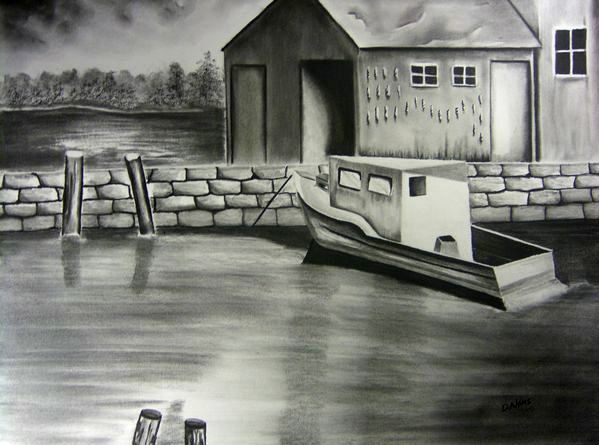 Summer Dreams charcoal drawing is of the Pamlico Sound, which is on the Island, which we the locals call the sound side of the Island. And the beach sides they call just call it ocean-side. So here’s what’s going on. I have not created any artworks in 8 months because of the enjoyment of the Island, and now it was the Island that brought me back to drawing again. For the sky I wipe on some charcoal dust with a soft cotton cloth, then lifted out some highlights with the knead eraser to make the white puffy clouds, then took my charcoal pencil to define the top of them some, being aware that I do not want these lines to be perfect; broken up or choppy in other words. 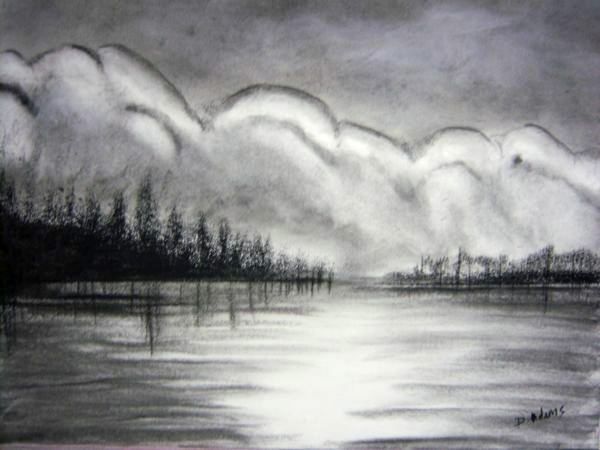 Then I repeated the process again on the lower white part of the cloud with the charcoal dust and knead eraser and pencil, but with each time down there was less and less to no pencil marks for the clouds giving it a fading into the land appearance. Next I worked the land. Created easy enough with a chunk of compressed charcoal and a ruler making my line where I want the land. Using the same piece of charcoal I rub in some tree bases very dark while apply lighter and I work toward the top of the trees by holding the charcoal vertically and moving it up and down on the work surface. After I get my trees in I once again use the same piece of charcoal and rub some trees under the tree, but much lighter. This will be the reflection. Then lastly I take my willow charcoal (you may use vine if you prefer) and set my water in my laying the charcoal stick on it’s side to fill in each side of the water, then flat, by horizontally working my way toward the middle but stopping before I get there. I do this on both sides. I lightly blend inward from the sides of the paper only. Note: the charcoal dust I used in the drawing is compressed charcoal that I sanded down myself with a sanding paddle. (sandpaper on a handle). 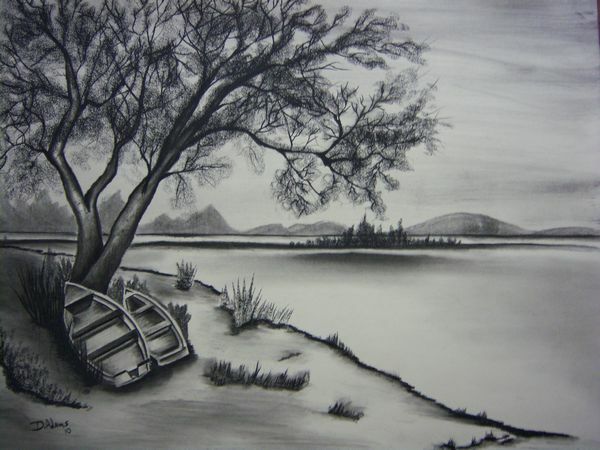 Charcoal drawing of two boats by the water tucked under a tree by a quiet body of water. Looks like a great place to relax. Quite setting of a boat along the wall behind the boathouse on quiet waters. Created with charcoal and graphite’s using the cotton cloth technique.